Thank you all for being so patient while I was away. I went to Seattle for a few days (which I will post a recap of later) and then I needed a little internet break but I’m back! So remember when I was so excited about Purminerals Tinted Moisturizer? Well I was so excited that I managed to overlook a major problem. That problem being that it’s like two shades too dark for my skin tone. In fact the difference was so bad, I had a huge line of demarcation where the makeup ended and my neck began. Yes, I’ve been that girl for the past few weeks. How did I not notice you ask? Maybe denial and being so in love with a new product that I was failing to see what was quite literally in front of my face. 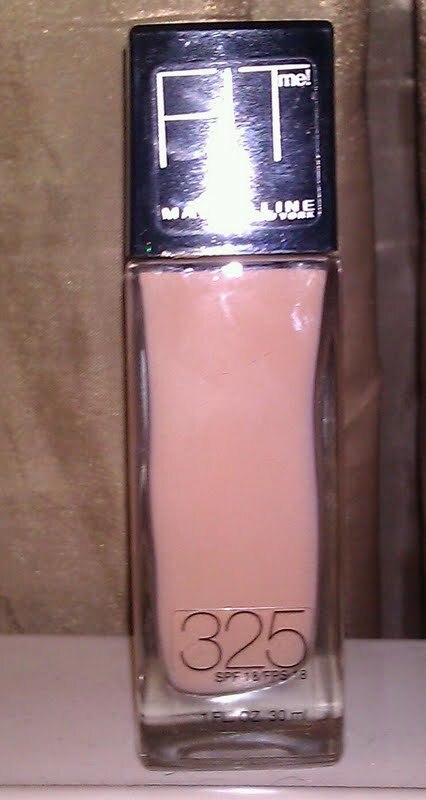 So while I still like the tinted moisturizer, until Purminerals comes out with more shades, it had to go. It also reinforced a basic makeup 101 rule: Apply your makeup in natural light. So I had to go on the hunt for a liquid foundation I could use in conjunction with the Purminerals 4-in-1 powder. I adore Makeup Forever’s body and face makeup but I’m trying to save money and didn’t want to shell out $40 for it right now. I’ve really been intrigued with the ads for Maybelline’s Fit Me Foundation and I’m a sucker for good advertising. At $7.99 it’s also not a huge waste if I don’t like the product. The reality: I wear shade 325 and it truly does “fit me,” Maybelline has done a ton of research and added five new shades to this collection to provide matches to women of all skin tones as well as coordinating powders, concealers,blushes, and bronzers, so kudos to Maybelline on that. I can’t stand when I shop for foundations/powders and my shade is the darkest they make and it’s labeled ‘dark’. It’s insulting because there is a whole world of women out there and we all come in a multitude of shades that companies should want to represent. Anyway, I read quite a few reviews about this foundation and was surprised by all of the hatorade out there. A lot of people thought Fit Me was too greasy and shiny and didn’t provide enough coverage. I for one have been wearing this foundation for a few days now and I like it. I don’t have a lot of blemishes and don’t need maximum coverage so I found it just fine. Fit Me is definitely more of a tinted moisturizer then a foundation and provides sheer natural coverage like the ads claim. It provides a dewy finish that I quite like and doesn’t sit in fine lines. This is not the foundation for someone who has a lot of problem areas or oily skin. In most of the reviews I read, people with oily skin said this foundation oxidized on their skin and broke them out. If you have normal or dry skin, it will moisturize like a dream. I wonder why it’s so greasy since it’s oil and wax free. I also like the simple sleek packaging but hate that there is no pump to dispense the product, the opening is just a big hole. A word of advice to Maybelline: Women DO NOT like to waste their foundation and the lack of a pump makes waste and spills more likely to happen. If you have an active lifestyle and need a “bullet proof” foundation that will last all day and night, this also is not the foundation for you. I find Fit Me to be adequate, it does what I need it to do for a reasonable price but I don’t know if I will buy another bottle after this one. If you’ve used Fit Me, what is your opinion? What’s the best drugstore foundation you’ve used?